The TDB has decided to build 500 toilets in Nilakkal, which will be the new base camp for pilgrims. KOCHI: The Travancore Devaswom Board (TDB) informed the High Court (HC) on Wednesday that separate facilities, including toilets and space for placing ‘viri’, have been arranged for women planning to visit Sabarimala. Earlier, the HC had directed the TDB to file a statement regarding the steps taken to complete pre-season works. 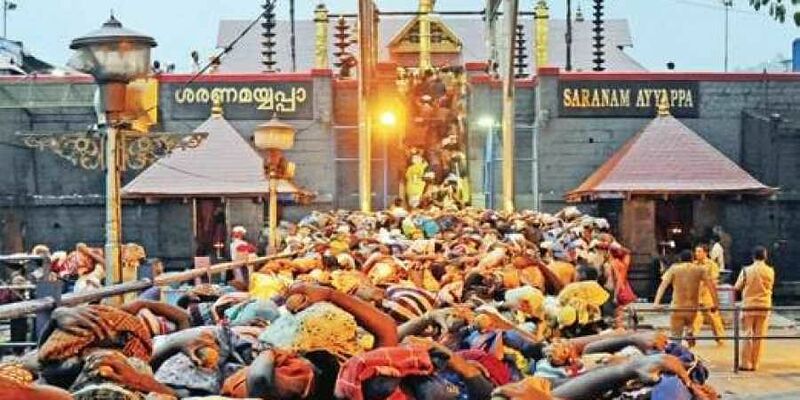 The directive was triggered by a report submitted by the Sabarimala special commissioner, who pointed out delays in works in Sabarimala, Pampa, Nilakkal and Erumeli in connection with Mandala Makaravilakku Maholsavam. During a meeting convened to discuss the entry of women of all ages at the hill temple, the TDB decided to build 100 toilets for female pilgrims. The toilets will be painted pink for easy identification and to avoid confusion. Separate space for placing ‘viri’ will also be provided for women. The TDB has decided to build 500 toilets in Nilakkal, which will be the new base camp for pilgrims. Out of the 500 toilets, 100 will be exclusively for female pilgrims. Hundred new toilets, as well as changing facilities for female pilgrims, will be set up in Pampa, said the TDB. As many as 25 bio-toilets each will be set up in Marakkoottam, near the KSRTC bus stand in Pampa and at the hilltop for female pilgrims, said the TDB. It will also fix streetlights in Pampa, trekking path and Sannidhanam. Considering the possibility of a shortage of drinking water, it has decided to dig five more wells in Nilakkal and sent a request to the Kerala Water Authority. As many as 100 waste bins will be kept along trekking paths. The court posted the next hearing of the case on October 29.